More people than ever in the Netherlands are morbidly obese despite a fall in the overall obesity rate, according to latest official figures. Around 100,000 people, or 0.9 per cent of the population, are classed as having the most severe of the three levels of obesity. Overall 14.2% of people are obese, two and a half times the rate at the beginning of the 1980s, the national statistics agency CBS said. Despite the increase the Netherlands has one of the lowest levels of obesity in Europe, with only Italy and Romania below the Dutch level of 13% in 2014, the last year for which comparative figures are available. The European Union average is 17%. Women are more likely than men to be clinically obese, with 14.7% of women and 12.7% of men having a form of obesity. Obesity is also more prevalent among older people, with almost a fifth of people aged between 65 and 75 classed as obese. Among people under 30 the proportion is three times smaller (6.7%). 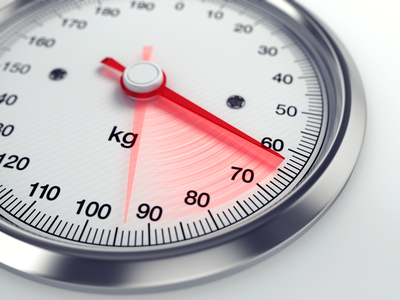 A further 36% of the population is deemed to be overweight but not obese, meaning nearly half of all Dutch people are over the healthy weight limit. Obesity is defined as having a body mass index (BMI) of more than 30, while anyone with a BMI above 25 is overweight. Surgeon Eric Hazebroek told the Radio 1 Journaal that although obesity was increasingly recognised as a chronic illness caused by a combination of hereditary and lifestyle factors, more could be done to reduce the problem. ‘People should be better informed in supermarkets about the amount of sugar in products. Schools and sports club canteens should also pay more attention to this issue,’ he said.